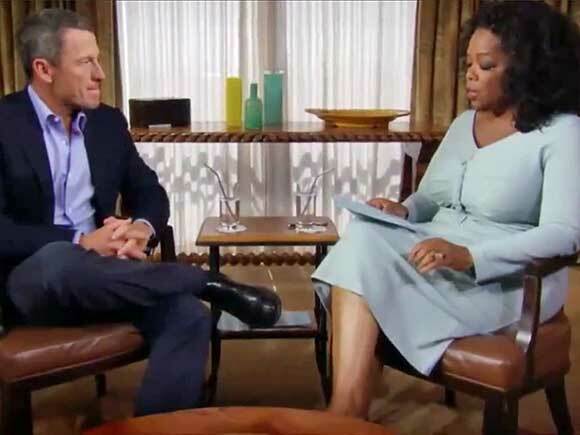 For Lance Armstrong, the damage is done. But for the sport of cycling, there’s no end in sight. The former hero is once again dominating, except this time it’s not the Tour de France—it’s the headlines, tabloids and everything in between. And while Armstrong nervously details his life of steroids and lying, increased scrutiny is given to his most important accomplice: the International Cycling Union. With the very public removal of their shining star from his pedestal, the International Cycling Union is licking its wounds after a near-fatal blow to its PR sternum. Like all industries, cycling relies heavily on its top commodity—the leading product—to secure consumer interest, media coverage, and ultimately, revenue. In other words, it’s no different than in the corporate world: when your product wreaks havoc, the damage extends to your brand. That’s why every business—small, medium or large—should pay rapt attention to the Armstrong scandal. Because just like in corporate scandals, mountains of evidence, countless whistleblowers and startling performance numbers should have prompted the International Cycling Union to act. Instead, like many companies experiencing the same symptoms, the unit tasked with providing oversight instead enabled Armstrong to continue doping, to set up networks that support doping, and to damage cycling to the point where it now may be beyond repair. Much like recent tainted food scandals, mining disasters and financial crimes, the main point here is that having a functioning ethics reporting or “whistleblower” system could have easily prevented this growing scandal. The PR nightmare, lost revenue, and the relentless torrent of negative media coverage; it all could have been caught and set straight—quietly, internally and years ago. WhistleBlower Security’s eBook 6 Simple Steps to Implementing an Ethics Reporting System, goes through what’s necessary to set up an anonymous and confidential service that is proven to mitigate fraud and empower witnesses. The very first steps to implementing such a system entail identifying potential risk areas, partnering with a responsible third-party so that conflicts-of-interest do not occur and getting senior management on board with the regimen. But, the International Cycling Union did none of those things. On the contrary, they did not use Armstrong’s 1999 failed doping test as a grounds for further investigation; they meted out “discipline” themselves, consistently entering into conflicts-of-interest and often doing nothing to suspected dopers; and senior management were more concerned with short-term cash flow than the long-term health of the sport.